This is my alphonso mango tree I got from Plantogram. It came looking really healthy and has grown alot this year. You can see the new growth as well as 5 huge inflorescence. It is over 4.5 feet tall. Here is a close up of the flower bud with some small, pea size mangoes on it. It’s nice to see someone sharing its own experience on growing tropical plants on marginal climates. Too often we hear thing only by someone who heard them elsewhere; so the original details of the experience are lost. Details, in such kind of things, are almost important as the main information. I can’t realize where you are growing such plants. What’s your average minimum in your coldest months? Here in Italy i’m trying to grow mango in ground, but the average minimum for january is just 1°C over zero. I will have hard times keeping them alive, i guess, but as you can imagine, i’m interested in people who successfully keep them alive with similar conditions. Thanks for visiting my blog…especially all the way from italy. Our winters usually get down to between 42-28 degrees farhenheit at night but I have seen it get down to the high 20’s…i noticed the most damage came from frost so for my growing area, if i have protection overhead on really cold nights, my plants tend to do ok….this will be the the 3rd winter so hopefully if they survive the next few and put on some size i can do less protecting them. here climate is pretty different from yours, and i can’t find a place in the entire USA, where mangoes are grown, wich is similar to central italian climate. We don’t have any frost spell, but temperature remain the same for days, even if cold. For example, today we had 2°C at midday (35,4°F) but i don’t expect to go much down than this (maybe we will have -4°C tonight, 24,8°F) but neither higher, for next 1-2 days. So my guess are just that, guess. Still a blog like yours provide very valuable information for dealing with things such frost, since even if our climate is a little different, mangoes are the same everywhere. Keep up with your good work! Seeing you being able to keep them alive with just a roof seems almost a miracle to me. I guess your soil is well drained. I tought to build a little greenhouse around my mango, to protect it from frost, but i think i should add some kind of heat. I was thinking for a glenn mango, because even if its branches die, it should recover quickly: the so called “condo mango” look like a bad choiche to me, i fear the lack of vigour cold be dangerous if they get injuried badly. But we will see. There isn’t almost no maket here for mangoes, neither fruit or plants – so even finding those common varieties can be hard. This is awesome! Bravo on your mangos. I’ve grown one next to me heater vent but otherwise unprotected in Lafayette for years, then lost it in a freeze three years ago. I replanted a five gallon and it has done fine more or less but seems to tip burn every year. I got some flowers on it and small fruit but they then dried up and fell off. I of course still have have high hopes for my 4′ tall baby. 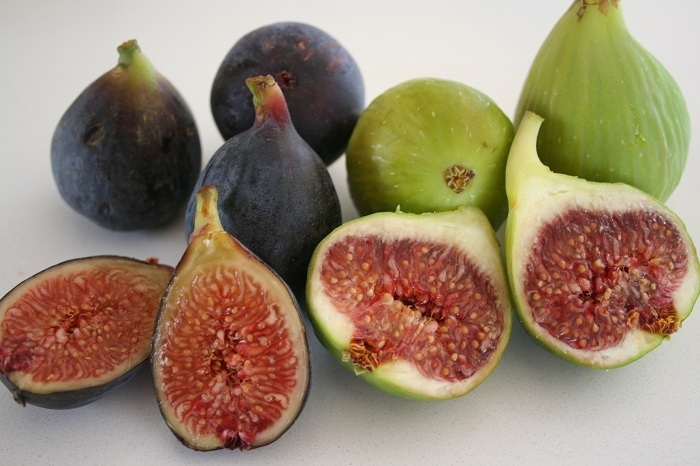 I was doing some research on growing exotic fruit in Northern california for a presentation I’m doing at the SF Flower and Garden Show this Friday and ran into your blog. I would love to tell everyone of your success and display some of your photos as visual aids. Let me know if this is OK.
if your interested in attending, it’s 1:00 pm at the show on Friday. Also, stop by our nursery sometime in Richmond (www.goldengatepalms.com). We have lots of fun stuff over there. Of course you can use the pictures and info as long as you reference where you go the pics and info. I got a little tip burn on 3 leaves after the freeze we had and lost some blossoms and the little fruit but i already see new growth and inflorescence pushing out so I am hoping if we get a warm spring and hot summer i will get more fruit. Yes, i have seen the great results that Jeff in Modesto has had. 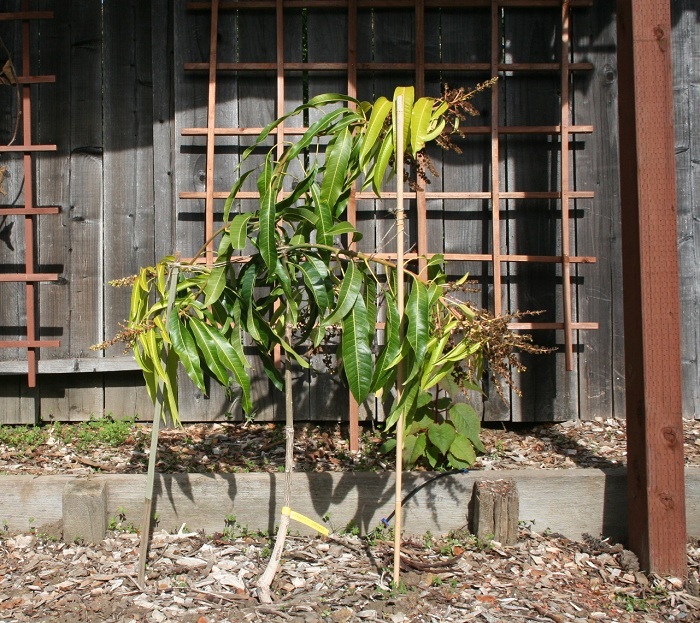 He grew a really big mango tree that if I remember correctly was dug up and replanted in Corte Madera. Have not heard the progress of the tree since the move. They moved that tree? Wow, as if mangos don’t have it tough up here already. I hope it makes it. So how should I credit you? I’ll of course reference your success and I can mention you by name (first and last?) and mention your blog. I just looked at my mango that flowered last summer and it actually has a dried up tiny fruit on it. Of course I don’t pamper it with the frost cloth like you do. I’m an abusive parent. if you can just mention my name (Tammy Wright) and blog address that is fine. hope everything goes fine…if you need bigger picture files, let me know. Hi Gary, Hope it went well. I wish I could have attended but with 2 babies it would have been too difficult. Hi Gary, For some reason I missed this comment. I would have loved to attend. 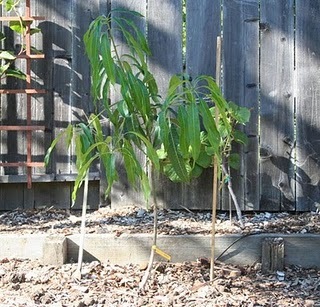 I am here in Northern Ca and really want to try raising a mango tree. I have finally gotten my orange grove off to a good start usuing a product called cloud cover. I spray my trees 3 times in the winter: Thanksgiving, Christmas, and Valentines, or thereabouts. Cloudcover gives an extra 10 degrees warmth when freezes occur. Have you ever used it with your mangos? I just need to find a place to buy one, or start one from seed myself. Hi Tammy. Any new updates on the Mangos? Like with Gary,I’ve had that rollercoaster of getting them to thrive…then the deep freeze sets me back. Both times AFTER the tree has set sweet ripe fruit. Must weaken them. Is this Stan in Hayward? If so, great to hear from you. I completely stopped babying the trees. They get no protection at all. Last year my Alphonso Mango almost died…not from the cold, it was summer but because of some ground varmint destroyed the roots. I thought it was a goner but it has come back. 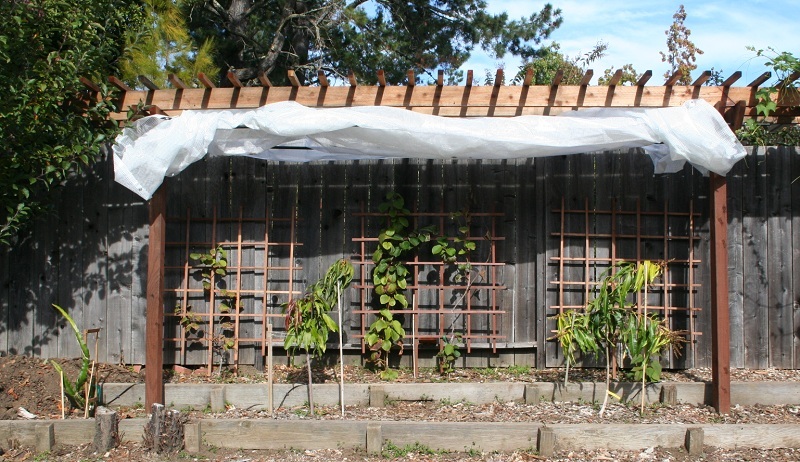 Then my glenn got fried during the winter because it got too hot in the “greenhouse” I built. We had a few really hot days and it just got fried. I thought it was a goner but it has come back as well and last winter both got no protection at all and are growing. I live in the Central Valley near Stockton and was wondering if I could grow mangoes here in our very dry heat. 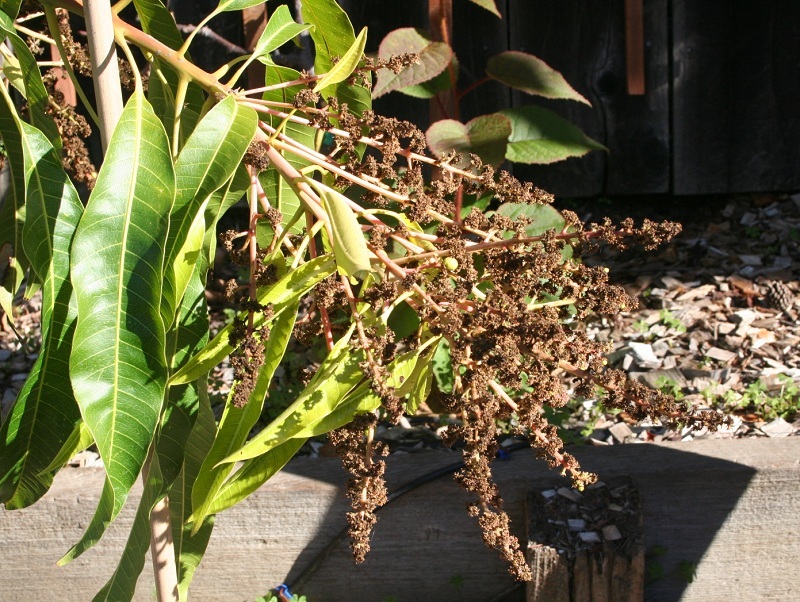 Doesn’t the mango tree need humidity to thrive? Thanks in advance. You know, you really don’t know until you try. I know some other low water areas are trying to grow mangoes like Israel and Coachella desert. so glad to find you! and So close to Napa…. 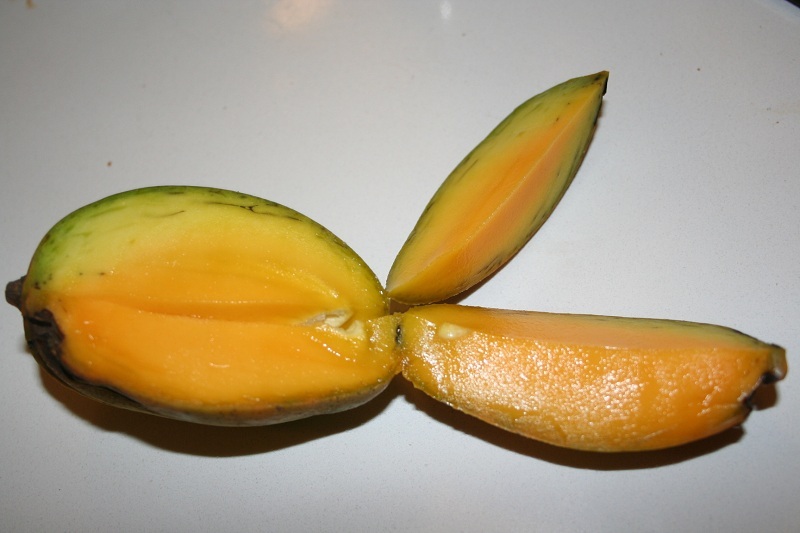 I’m going to try an Alphonso this year in my back yard… How are yours doing now? Any recommendations to start with? Any other trees you couldn’t pass up? 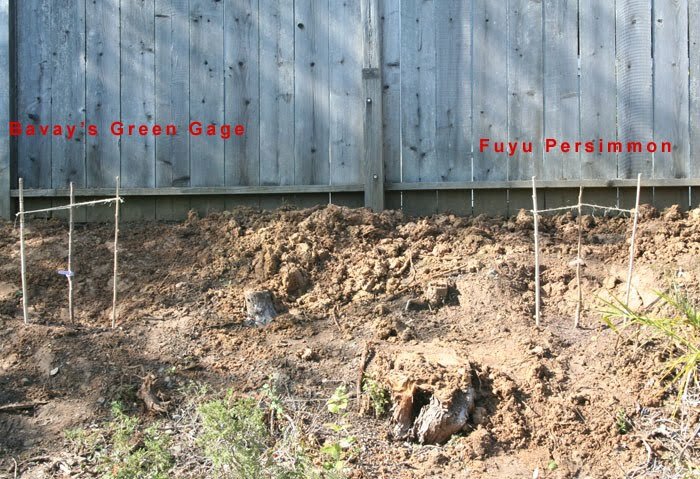 I just planted a prunus mume… hope it does well! Hi Tammy- glad to see you are still at the mango madness! The last three- four years have been as mild as can be by bay area standards. My Baileys is now 7′ and I’m shooting for 8′ before winter and maybe 6′ wide. I planted a seed grown Aultalfo too. The last couple of years I’ve planted some subtropical fruits. Ice Cream banana is a good one I have some with fruit right now- my first ever edible banana. It seems like now is the best time ever to grow these things. Check out “Mango Tree in Northern California on YouTube. That was a stick 3-4 years ago when I looked it up on googlmaps. Fast growth. I’m betting its an Aultalfo. Hey Stan, Great to hear from you. I am working on having a trellis over my trees and think that if I can get the freeze drop problem fix, I can have alot of success. I have not covered or protected my trees and every year they die back but then recover.